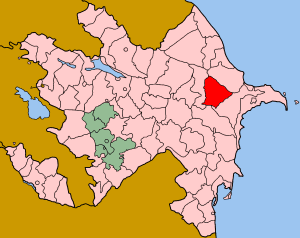 Gobustan is a raion of Azerbaijan. There are 37,137 people. The capital is Qobustan. It was called Maraza until 2009. It is about 50 miles west of Baku.